YJ Rock Sliders with Tube 87-95 Wrangler YJ Also Fits CJ7 76-86 TNT Customs. 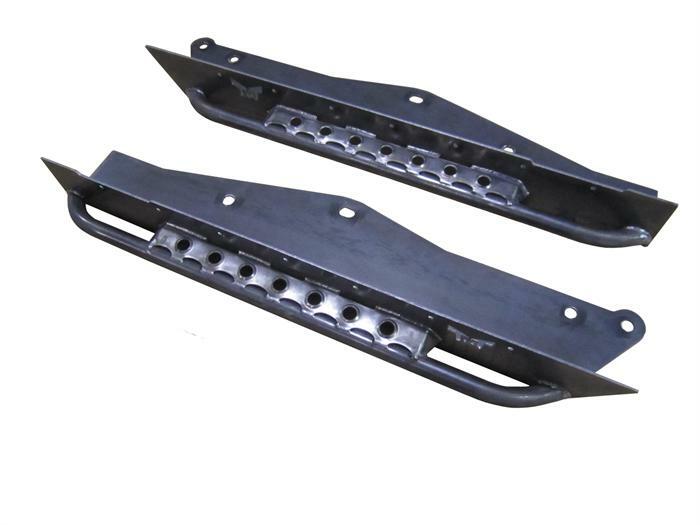 TNT rock slider rocker guards for Jeep CJ's and Wrangler YJ's are designed for the off-road enthusiast. TNT rocker panel protection is the perfect blend between cost and function: 3/16 inch steel, CNC cut, and formed steel for strength. 3) Fits CJ7 and YJ only.